Offering you a complete choice of products which include three phase sewage motor pumps, garden motor pump, pressure switch pump, mini standard pump, 3 phase monoset pump and mini premium pump. • Pressure boosting applications in bungalows, apartments, hotels etc. 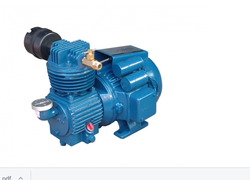 We offer CP1-VX Monoset Compressor Pump. Looking for Electric Motor Pumps ?